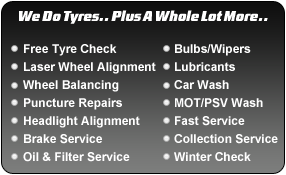 At Burkes Tyres & Exhausts we can carry out a full visual inspection of your vehicle to ensure it meets all the MOT / NCT requirements. Our fully trained staff will explain every part of the process and advise you on any repairs that may need to be carried out to meet the MOT / NCT requirements. 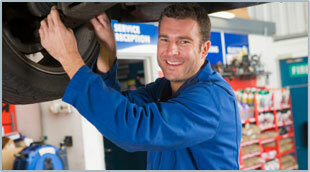 We then can carry out all the necessary repairs to ensure your vehicle passes first time. No work is carried out before your approval. The process is simple, quick, cost effective and at a very high standard. Your safety on the road is our priority. To save your time, we also offer a fully insured collection and delivery service for your vehicle. Have it collected at your home or work and returned all on the same day FREE OF CHARGE. If required we can also complete a full service on your vehicle including oil & filters change to give you carefree motoring for the year.